To provide a look into our community, a chance to experience what life in a missionary school is like, and an unforgettable time where you can foster new friendships, encounter the Lord, and experience a delightful time by participating in fun activities and exploring our campus , Bethany Global University (BGU) holds Campus Preview Weekend (CPW). Through it, you’ll be able to experience how the Lord is moving on campus, how our community works, and you’ll get to meet students and staff. You’ll be able to see the inner workings of our parent organization, Bethany International, and have a chance to learn how the Lord is working through our extended family around the world. 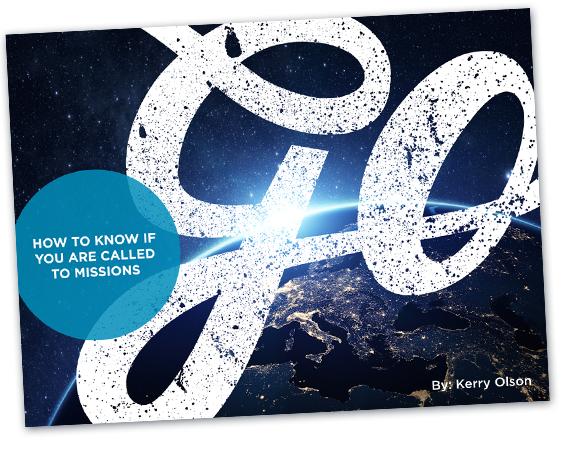 Come and see how BGU provides missionary training for taking the church where it is not. 1. He works through current students: freshmen, sophomores, and seniors were once in your shoes. They were unsure if this was the right school God was calling them to, and through Preview Weekend, God revealed answers to their questions. “God made it clear He wanted me here. Through students, God showed me the hearts of His people in a way that I had never experienced before.” – Emily Q. 2. He works through other prospective students: Over preview weekend, you’ll get to hear what God is doing in the lives of other prospective students. Sometimes, God brings confirmation through words that they speak into your life. “One of the other prospective students encouraged me. That even though I was having second thoughts, God still had plans for me, and that he felt part of God’s plan for me was that I was supposed to come here.” – Dominick S.
3. He works through signs: God can speak to us through signs. When I came to preview last year, God kept surprising me with these. I remember that the room I stayed in over preview was a sign itself. Being born in Colombia, and raised in Canada, it was an interesting surprise when I walked into my Preview Weekend room and found that one of the students living there had a Canadian flag hung up next to a drawing of Colombia. God kept fascinating me with experiences like this throughout the weekend, something I will never forget. 4. He works through worship: The worship sessions at BGU are one of the most memorable events at Preview Weekend. Our guests are fascinated by the beautiful worship, where the presence of the Lord can be experienced in an intimate way, and a deep connection with the Body of Christ can be sensed. “I remember asking the Lord if the worship team could play a specific song as a sign that this was the right place for me. It could have been a coincidence, but the song played, and I felt the Lord so close to my heart in that moment.” – Joelle C.
5. He works through prayer: Numerous students have experienced answered prayers during Preview Weekend. Students have asked the Lord for confirmation, and the Lord has provided answers to those requests. “There was a sense of confirmation of prayers. Not only about me heading the right way and being where I was supposed to be, but about the Lord revealing new parts of my identity to me.” – Evangeline M.
6. He works through workshop sessions: During Preview Weekend, different workshops are provided regarding the discovering of our role in God’s plan, and hearing His voice. “I was worried about not being equipped to be in this place, but the speaker began to state how we are all unequipped. It is because we are unequipped that God equips us with His strength. That was something that stuck out to me.” – Rachel I. 7. He works through chapel sessions: Chapel sessions are an opportunity to listen to teachings from individuals who have been walking with the Lord for years, and who contain valuable experience in the missions field. You’ll get the chance to hear answers to questions that go through every believer’s mind. ” I remember something that impacted me was that everyone is called to be a missionary, whether it is as senders, goers or mobilizers, but not everyone chooses to follow that calling.” -Weichung Z. 8. He works through teachers and faculty: During Preview Weekend, God can reveal a part of His heart to us through the inspiring passion that staff members carry for the Lord, missions, and God’s kingdom. “Hearing the passion of the staff and their hearts for missions, God showed me that this was the place for me.” Michelle E.
9. He works through classes: At Preview Weekend, you’ll get to experience one of BGU’s unique classes, “Power of the Cross” (POC). This class focuses on spiritual growth and the development of biblical leadership qualities that are valuable for the missions field. It is a great opportunity to learn how you can continue to grow in different areas of your life. “Through POC, God showed me that forgiveness is the constant decision of always continuing to choose love.” -Angie L.
10. He works through the community: Through our missions-minded community, encouraging students, and the delightful atmosphere of worship and prayer, God can reveal to you new areas of His heart. “The students showed me their care. They talked to me for hours, and made me feel right at home.” -Maddy C.
11. He works through our emotions: Sometimes, God uses our emotions to speak to us. He brings an unexplained peace into our hearts that shows us we are standing right were He wants us. “God can talk to us through our feelings. It can reveal to us when we can trust Him with something. Though I normally feel anxiety in large groups of people, during Preview Weekend, I felt at peace.” Trischelle L.
Will we be seeing you at our next CPW?